As such George Romney Junior School is regularly inspected and the results of those reports are available for anyone to see. 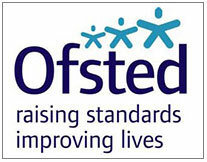 This is a highly effective school, where senior leaders, teachers and all staff have very high expectations of pupils. Together they ensure that learning is exciting and memorable, and that all pupils reach their potential.’ An excellent opening statement of any school inspection report!